PACIFIC for April 13: Does China own the future? What's Next: WSJ: "Silicon Valley, long the undisputed king of venture capital, is now sharing its throne with Asia ... A surge of new money -- mostly from China -- has helped drive funding totals into the stratosphere and has transformed the venture landscape ... Asian investors directed nearly as much money into startups last year as American investors did -- 40%... in global venture financing versus 44% ..."
The Big Picture: "That tidal wave of cash... could herald a shift in who controls the world's technological innovation and its economic fruits, from artificial intelligence to self-driving cars." Good morning, and welcome to the weekend. Democrats in Washington say they will use this week's Facebook hearings "as the starting point for an aggressive push for privacy legislation," per Axios' Kim Hart. I'm sure they will introduce legislation; I'm dubious about how aggressive it will be. • Advertisers: "Advertisers still love Facebook," Wired's Sandra Upson reports. "The company's business model stays intact and its dominance as a social network and an advertising behemoth remains assured." 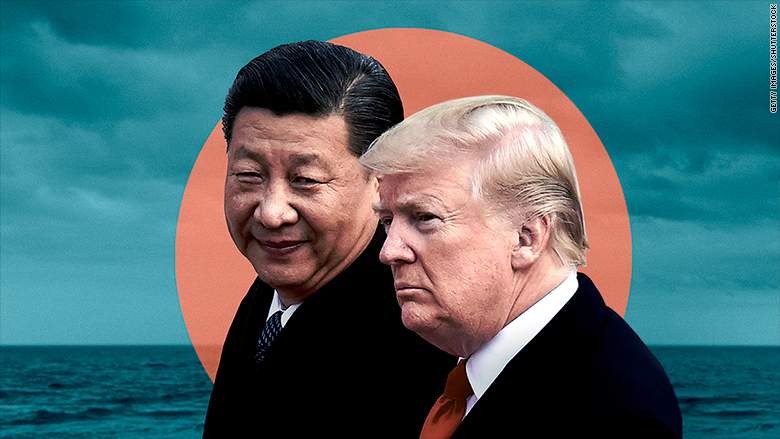 • NYT's Ana Swanson: "The discussion on the trade deal began... when Senator John Thune, Republican of South Dakota, questioned Mr. Trump about returning to the pact, arguing that the Trans-Pacific Partnership was the best way to put pressure on China." • "Mr. Trump, who has put China's 'unfair' trade practices in his cross hairs, turned to [Larry] Kudlow and Robert Lighthizer, his trade negotiator, and asked them to look into re-entering the agreement." • Thune: "If you want to send a message to China, the best way to do that is to start doing business with their competitors. So [Trump] was very open to it." • NYT's Keith Bradsher: "Officials in Japan, Australia and New Zealand reacted coolly... to Mr. Trump's remarks ..."
• "While the United States would significantly bolster the pact if it signed up, its entry would require intense negotiations — and current members will expect significant concessions from the American side." • Yoshihide Suga, Japan's chief cabinet secretary, cautioned against any efforts to change it ... calling it a 'well-balanced pact' that carefully addressed the needs of the current 11 member nations." • @realDonaldTrump, 11:15 p.m. ET: "Would only join TPP if the deal were substantially better than the deal offered to Pres. Obama. ..."
• Reuters' David Chance and Tetsushi Kajimoto: "Trump is struggling to get support from other countries for his recent threat to impose import tariffs on China and the U.S. farm lobby is arguing that retaliation by China would hit American agricultural exports." • "President Trump stepped up his long-running battle with Amazon, ordering a federal task force to investigate the Postal Service's finances." • "The executive order issued late Thursday night does not mention Amazon by name, but Amazon is the subtext." • "Trump has frequently complained that Amazon takes advantage of the post office... The order points out that the post office has lost $65 billion over the last 11 fiscal years." The Big Picture: Trump's influence over Amazon is still limited to Twitter attacks and symbolic gestures that temporarily influence the company's stock prices. There is still little reason to believe he will seek or be able to enforce substantive regulations on Amazon. Tesla shares are back up after Elon Musk said the company will be profitable by the third quarter of this year. • "Tesla will be profitable & cash flow+ in Q3 & Q4, so obv no need to raise money," Musk tweeted in response to an Economist article citing analysts who said Tesla will need to raise more than $2.5 billion this year. What we want to know: Musk misses more deadlines than he hits, as he himself acknowledged last month. How long til the market loses faith? Dub Shot: NBA Playoffs, con't. • The 16: "As the Playoffs Begin, the N.B.A. 's Biggest Stars are Going Ring Hunting" by NYT's Benjamin Hoffman. • The 8: "Best Case, Worst Case: Western Conference Playoffs Edition: The outlooks of all eight West teams vying for a trip to the NBA Finals" by The Ringer Staff. • The 2: "Warriors-Spurs mega series preview: Key matchup, X-factor, prediction, and more," by The Athletic's Anthony Slater.